During my time in Thailand, I saw an overwhelming amount of noteworthy aquarium fish. Many of course were colorful, showy and expensive fish–yet it is one relatively muted species that keeps coming to mind. 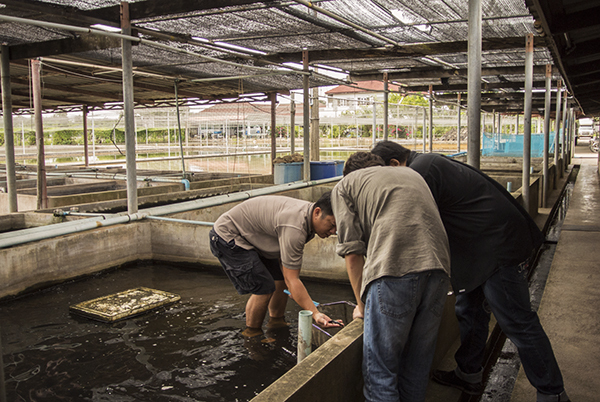 Crossocheilus reticulatus is not a newcomer to the aquarium trade, and is now being raised in Thailand on the same large scale farms that produce other algae eaters like C. siamensis and Gyrinocheilus sp. Despite its close relation to the wildly popular ‘flying fox’ algae eaters, the reticulated flying fox just hasn’t caught on much in the hobby, and I think it deserves a bit more of the spotlight–especially after having seen some really beautiful adult specimens at one of the farms I visited. The reticulated flying fox has a distinctive pattern consisting of dark-edged scales tinged with a lovely iridescent gold or copper sheen. The lack of a horizontal stripe makes it easy to differentiate from congeners, but like its more popular relatives C. reticulatus is an excellent algae eater. In the aqaurium, it will spend most of its time foraging on the surface of any and all decor, grazing on several forms of nuisance algae and cyanobacteria. A native of Thailand, Laos, and Cambodia, the reticulated flying fox is generally found in cooler, well oxygenated moving water and despite inhabiting the tropics they seem to be quite tolerant of lower temperatures. Like others in the genus Crossocheilus, they will do well in larger groups if space allows–and I can only imagine a group of full-grown fish would make for quite the display in a large planted tank. As their body shape might imply, they spend much of their time swimming against a current, and do enjoy good water movement within the confines of an aquarium. Water conditions do not seem to matter much to this fish, but slightly hard water with a pH of neutral or just above would be most in line with what they would experience in the wild. The juveniles, while attractively marked with a high-contrast pattern, were easily overshadowed by the gorgeous adults I saw during one of my farm visits. 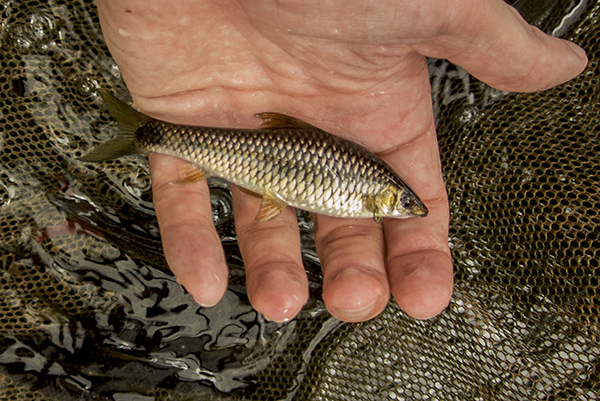 Freshly pulled from a large open-air pond, the fish looked almost gilded as they thrashed about in a net. 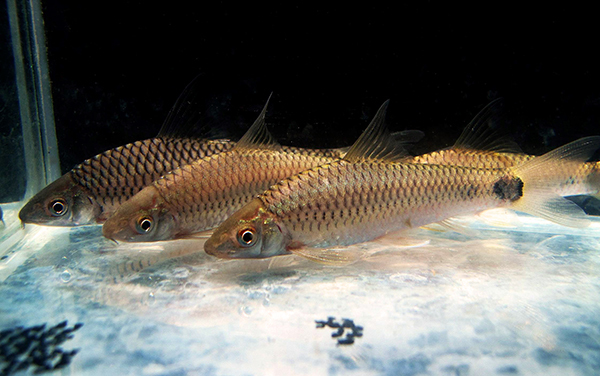 Needless to say, I’m very much looking forward to trying my hand at keeping this fish when the opportunity presents itself, and I would encourage fellow aquarists to give them a try should you come across this uncommon and under-appreciated cyprinid. Florida Tropical Fish Farms: Do you know where your fish are coming from? One is bigger than the other, and it always seems to be smaller when eating. Hi I have a pair of these fish and they are excellent I can not recognize their gender And I do not know if they will be pairs how to reproduce them One is bigger than the other, and it always seems to be smaller when eating.